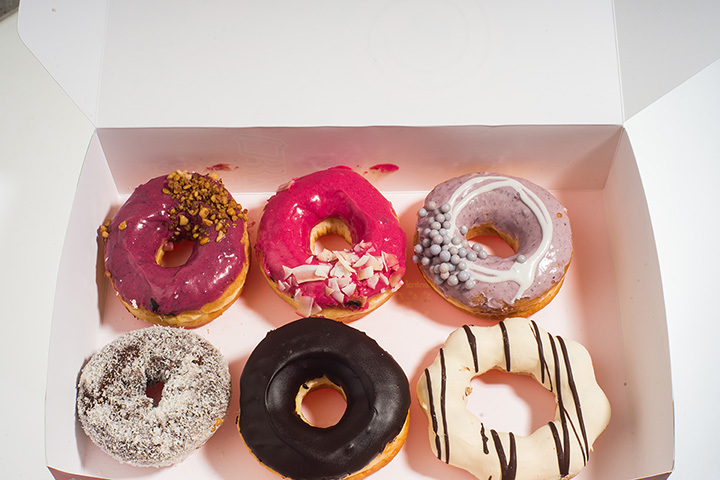 Doughnuts have long been a breakfast staple, but the classic morning doughnut has reemerged as a super trendy treat. Thankfully, Nebraska has plenty of incredible doughnut shops with enough doughnut flavors to satisfy any sweet tooth. If you have a craving for a delicious doughnut in the morning or any time of day, here are the nine best doughnut shops in Nebraska you have to check out! The Olsen Bake Shop is a classic neighborhood doughnut shop and Omaha staple. Get there bright and early for a dozen of freshly-baked doughnuts and pastries—you won’t be disappointed! Donut Stop is a quaint, old-fashioned doughnut shop in Omaha. Stop in and enjoy a doughnut, coffee, and play some board games with friends! This local doughnut joint in Kearney serves up gigantic doughnut treats in every flavor a doughnut lover could imagine. Drop in and experience all of the doughnut-goodness for yourself! Sehnert’s is the ultimate doughnut shop in McCook. Everything is baked fresh with flour sourced from a local flour mill. Grab a dozen to go, or enjoy a coffee and doughnut in this adorable downtown cafe. Pettit’s Pastry in downtown Omaha is a family-run bakery that serves up some of the best cake doughnuts in town! No matter which doughnut you order, we promise you can’t go wrong. Locals and out of towners alike flock to Gering for the delicious, made-from-scratch doughnuts at the Gering Bakery. Since 1950, this bakery has been a go-to for freshly baked doughnut goodness. The Doughnut Hole in Lincoln serves up delicious doughnuts in unique flavors such as maple bacon and PB&J. Sink your teeth into one of these tasty treats and we guarantee you’ll keep coming back for more! If you haven’t tried the doughnuts at Uptown Bakery in Bellevue then you haven’t lived. This made-from-scratch bakery serves up amazing doughnuts in classic flavors from glazed and chocolate to powdered sugar and maple. Harold’s Koffee House in Omaha is synonymous with homemade doughnut perfection. This classic diner is famous for its American style breakfast but you can also order a single made-from-scratch doughnut and indulge in its perfection.